We love pretend play in our house! So naturally we would need lots of simple accessories for every occasion. 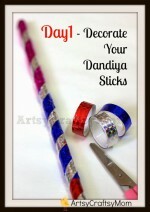 These adorable crowns are perfect addition to dress up party for Krishna janmashtami, a birthday party or just because. So many creative options to create with from flowers and lace to recycled materials. I love them all! 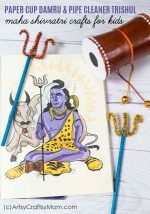 Krishna loved to wear a peacock feather crown on his head .. to recreate that, we have many options. Cut a long rectangle from white cardstock enough to circle your child’s head. Cut out a peacock feather shape from a transparent OHP sheet. 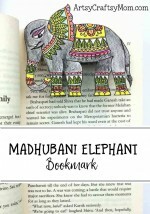 Using markers, gold outliners & paints, decorate each individual piece as shown in figure. Stick them all together and your Crown in ready. Gold lace / zari thread. Cover the cardboard crown cutout with gold foil / paper . Stick in place with glue. Embellish the crown with colorful sequins, beads & shiny stickers. Stick a peacock feather on the top. Using the single hole punch, make two holes at the end of the crown cutout and lace the zari or golden thread in. Make sure the length of the thread is long enough to circle your child’s head & then some more to be able to tie a secure knot. And your krishna crown is ready. 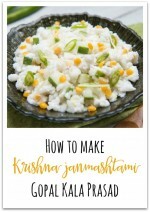 A little imagination, the right colors and a heart full of reverence – just the combination you need to make a crown for your Nand Lala this Janmshtami. 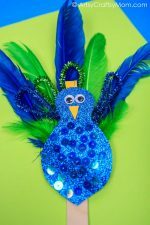 Use cardboard cutouts in peacock feather shapes & paint using metallic shades and glitter outliner & glue. Then stick them all on a long cardboard rectangle frame that will form the crown. 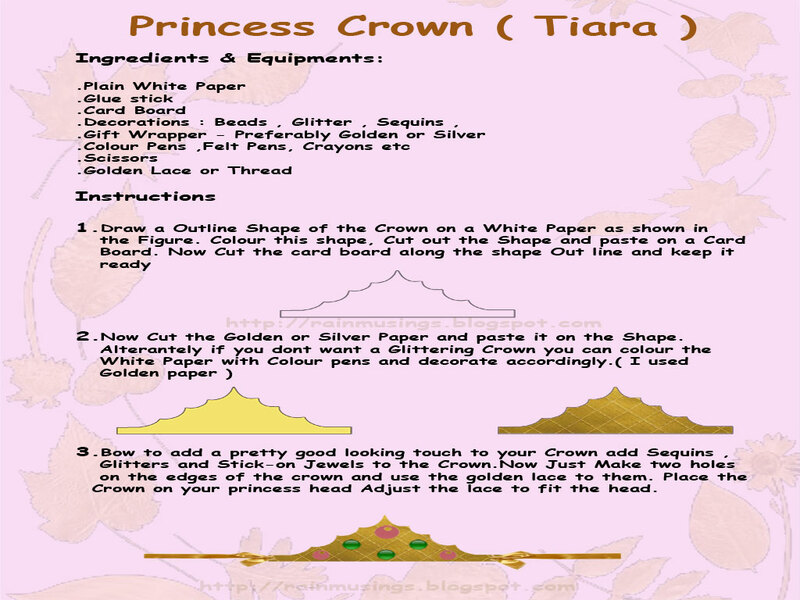 If you are looking at just a simple idea – then just use a simple handmade paper to make your crown as shown below. It’s really so simple and interesting method very nice. Awesome job Shruti 👍👍keep it up..